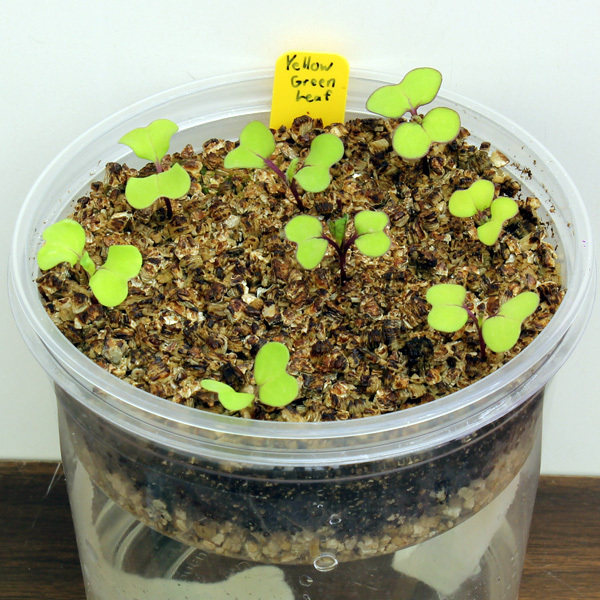 The Yellow-Green Leaf variety of Wisconsin Fast Plants® produce pale yellow-green color cotyledons and leaves compared to other Fast Plants varieties. 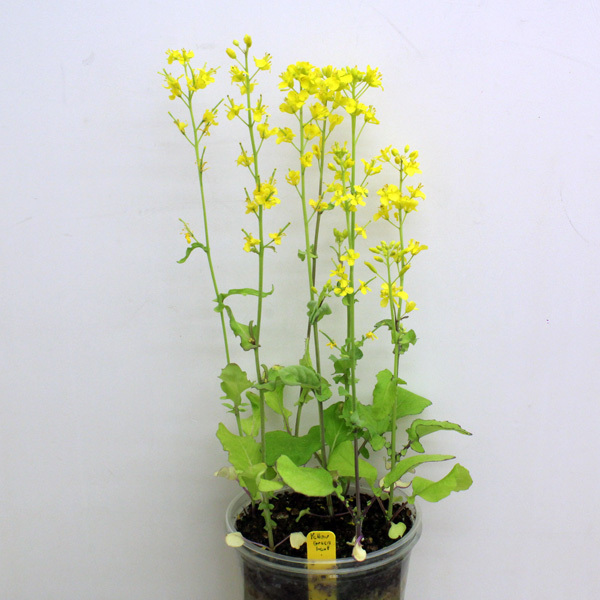 This phenotype is regulated by a single recessive gene (ygr). 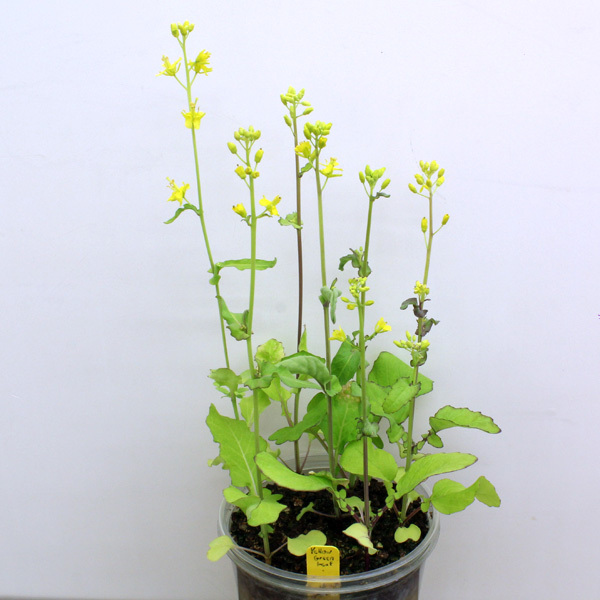 In the homozygous condition, the leaves appear yellow-green. This variety produces less chlorophyll than the Standard variety of Wisconsin Fast Plants and their developmental timing is slightly delayed. 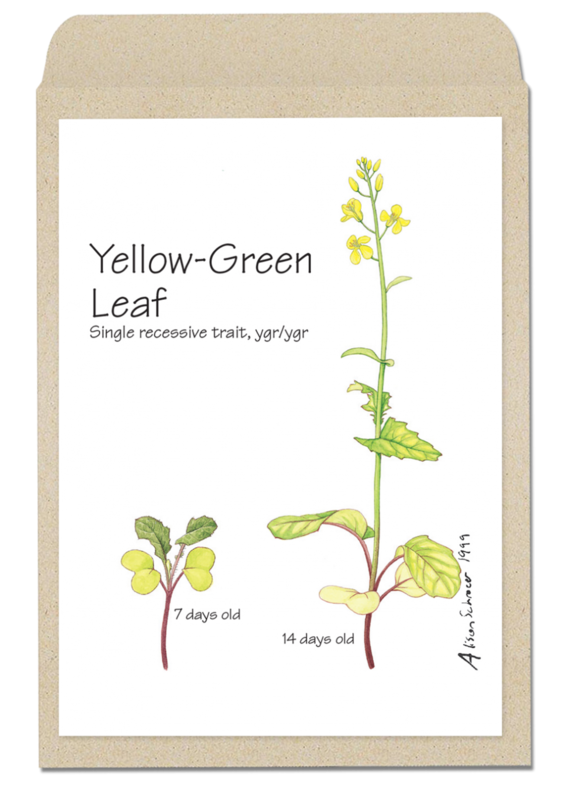 Yellow-Green Leaf Fast Plants were selected to have a uniform, short flowering time of 15-17 days (somewhat slower than the Standard variety) under recommended growing conditions of continuous light, water, and nutrition. 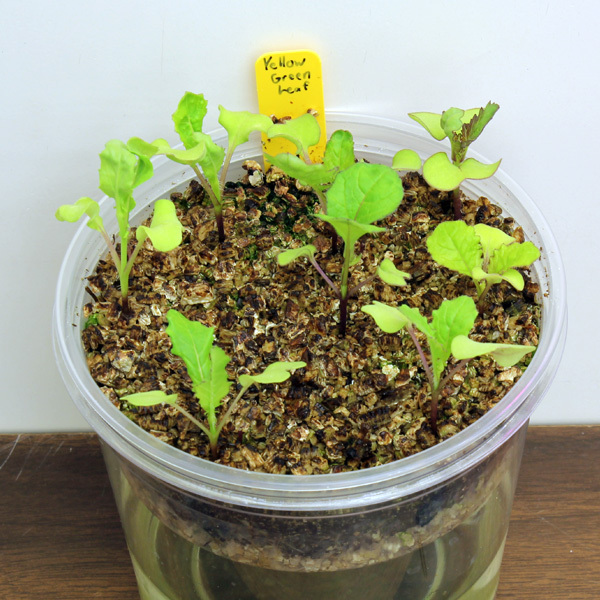 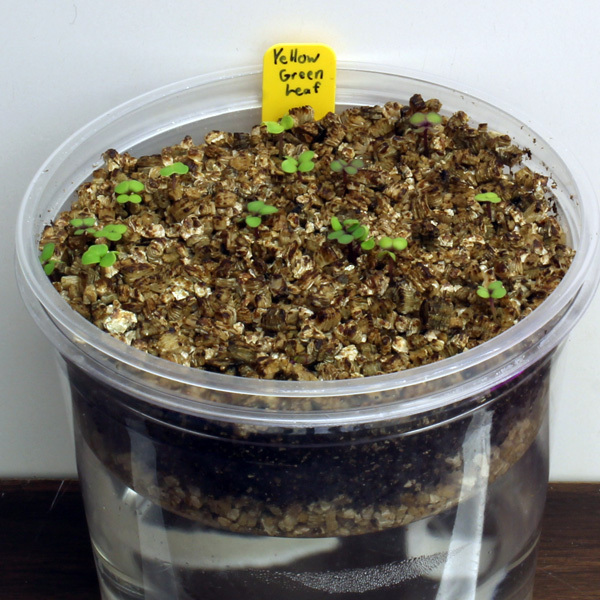 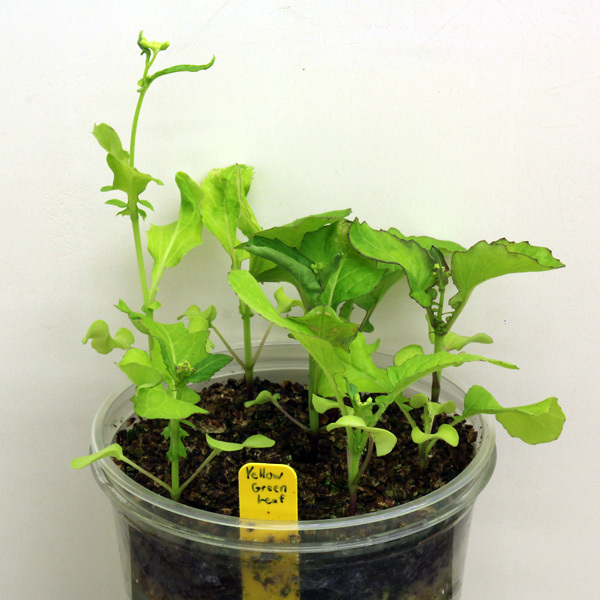 The Yellow-Green Leaf phenotype is only recognizable when plants are grown in potting mix, and it can be easiest to recognize when plants are 5-7 days old.